2013 Art Major Full Scholarship!! AMA, Art Major Asian Scholarship project is the national scholarship program for bringing and educating international distinguished art elites. K-Arts selects the most outstanding artists from Asian countries as AMA grantees. Sponsored by the Ministry of Culture, Sports & tourism, the scholarship covers full tuition fees, Korean language program fees, living and travel expenses(a round flight tickets) etc. AMA Scholarship offers university tuition waive, Korean language program provision, living expenses, provision of housing and flight expenses, etc. Provision of Living Expenses: 700,000won is granted every month. 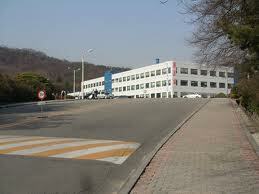 Tuition Waive: 3,000,000won per semester is waived. 5 Month Korean Language Tuition Waive: 3,000,000won is provided. Provision of Dormitory: 390,000won per semester. Please note that Dormitory fee is included in the provision of living expenses. Travel Expenses: One round trip flight tickets. Cultural field trips, extracurriculum programs are all provided for the AMA student. Applicants recommend by the rector (president) of the university graduated or attending. or head of government-approved organizations, companies and art related institutions, etc. Applicants with outstanding artistic talents, gifted skills and an excellent academic record. Applicants recommended by the government, or ministries, or embassies of Korea or University president or head of art and culture related organization. ** Those who speak Korean language is highly preferred. Starting from 2013, Africa, Latin and South America countries are included! This list is only for specific departments, not all the departments of K-Arts. All of 33 departments are opened to receive applicants. however if you are intended to apply the departments that are on this list, must meet the eligibility as below. Department of Acting : Korean Language Ability Required, You must submit performance video(CD) for your portfolio. English or Korean interview will be made if you’ve passed the acting department’s first selection. Holder of TOPIK is highly preferred. If not, Korean language certificate, or approval of the Korean language teacher is required. Department of Animation : English or Korean interview will be made if you’ve passed the animation department’s first selection. Department of Broadcasting : If you have Chinese nationality, 2012 scholarship is not opened for you. Department of Dance Performance : English or Korean interview will be made if you’ve passed the department’s first selection. Department of Dance Theory : English or Korean interview will be made if you’ve passed the department’s first selection. Department of Choreography : English or Korean interview will be made if you’ve passed the department’s first selection. Department of Traditional Arts Theory : English or Korean interview will be made if you’ve passed the department’s first selection. Department of Traditional Music : English or Korean interview will be made if you’ve passed the department’s first selection. Department of Traditional Dance : English or Korean interview will be made if you’ve passed the department’s first selection. Department of Traditional Folk Theatrics : English or Korean interview will be made if you’ve passed the department’s first selection. All the necessary and required documents, personally delivered by the university, must arrive at K’Arts by the deadlines. Demikian kami sampaikan tentang Art Major Asian Scholarship, Korea National University of Arts semoga informasi tentang Art Major Asian Scholarship, Korea National University of Arts ini bermanfaat.